and my son and I decided we would recreate it for a school holiday party. mini donuts, tubes of frosting in white and black, cherry sour candies and pretzels. Tray of Treats + Friendly Grin = Lady Magnet! I saw this idea and have been meaning to make them for myself :) Your's turned out very cute. I love all their expressions. The teachers gift looks great. Aww! That's SO adorable! And so simple! 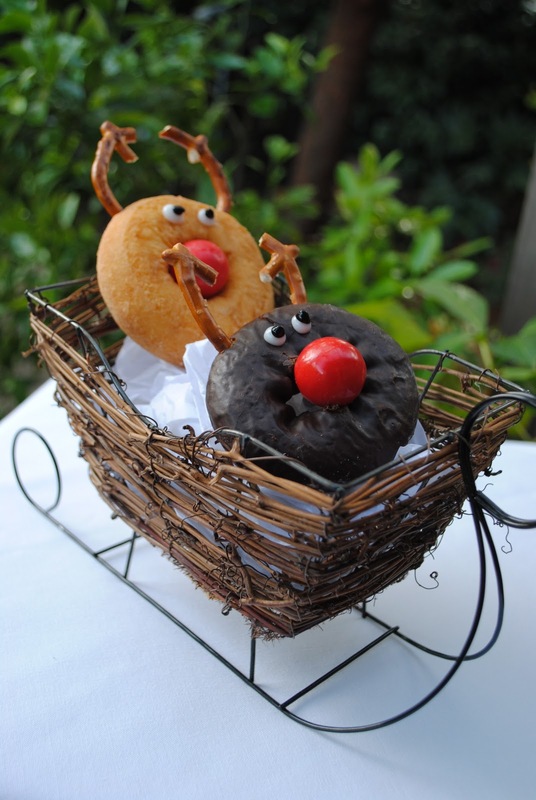 Mini-donuts...who'd have thought?! What a great idea. Would you share it here? Pleeease? 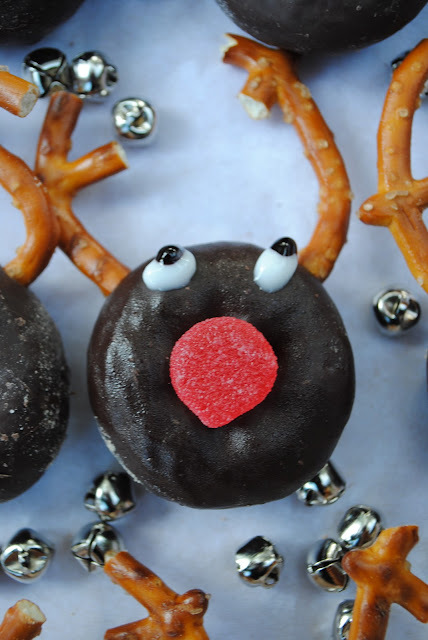 I totally want to try making these but my reindeer's expressions would all look like "The lady that made us really should just stay out of the kitchen." Oh my goodness, how cute are those!! I love how you have their personalities written how - so funny! Love these! I tried to make them the cake pop way.... I'll never make another cake pop again lol I wish I would have gone with the donuts they are so cute! So, so cute! 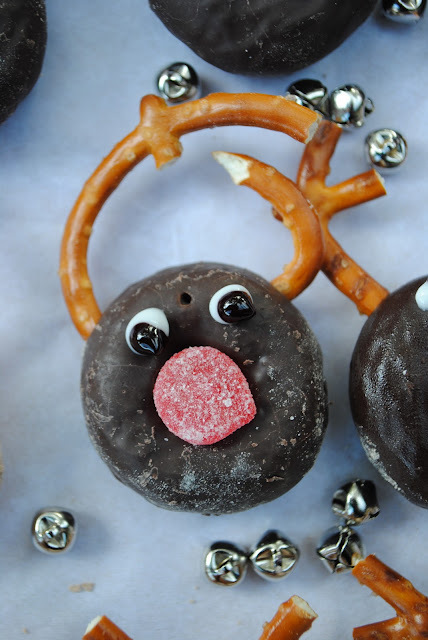 We've made the snowmen like that but I love the little reindeer. The eyes give them so much personality. Adorable idea! They do seem to have different little personalities. SO CUTE! Alexis, you can lead my party sleigh any time!!! These are seriously the cutest! Were having a big get together this weekend with lots of kids, I bet they'd love this!! SUPER CUTE! 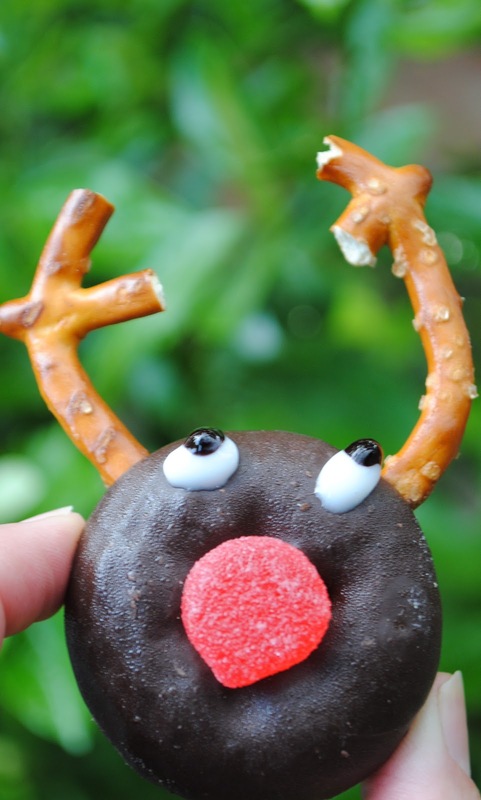 I wish I had seen these before my Rudolph party! Instead I am going to make them for my sons library holiday party this week. Easy and cute is my kind of treat. Thanks for sharing. My "Deer" Alexis you out did yourself! Wish I was there! !